This cool view garden has been especially designed to let you watch the progress of your plants. It is made to accomodate root vegetables and seeds are included. One side of the box features a light shield that can be removed when you want to check the progress of plants. 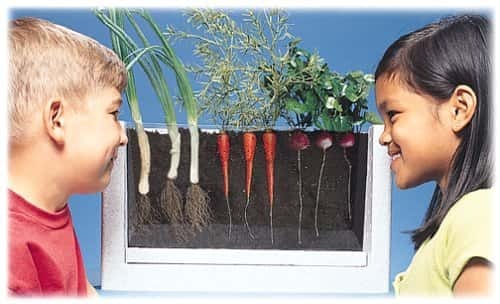 This is a great tool for teaching children how plants grow under the ground. 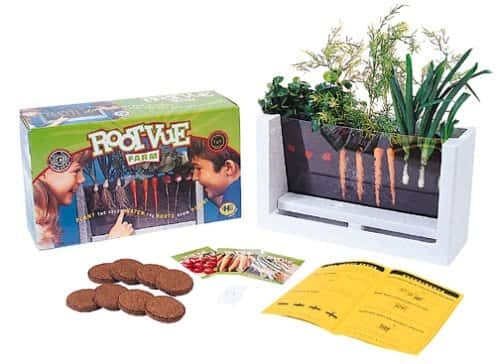 An interactive idea that may also encourage them to eat their vegetables. I can't promise that though ;) Sure to provide plenty of entertainment as your plants grow. Children will love to watch the progress of this cool garden.